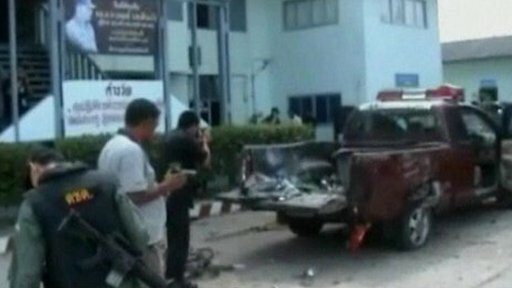 Two policemen and a teacher have died in the latest wave of violence in southern Thailand. Muslim insurgents are suspected of carrying out the attacks in the provinces of Pattani and Yala. Almost 40 people have died since early June in the south. Jonathan Head reports from Bangkok.